Are you looking for somewhere to host your Rehearsal Dinner? 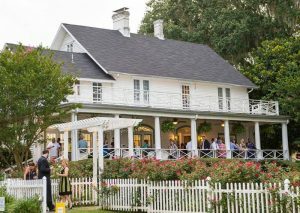 Winterbourne Inn is the perfect Rehearsal Dinner Venue with a Waterfront View. The Rehearsal Dinner is personally my favorite time of the Wedding Adventure. This is a time where the Bride and Groom can spend time with their closet family and friends all at the same time and the same place. A time where everyone can get to know each other better. Your family and friends can enjoy a delicious dinner maybe have some cocktails and relieve some pre-wedding day tension. If you are having a big wedding it gives you a better chance to have one on one time with your family and friends. Another fun thing about the Rehearsal Dinner is you can plan a fun theme! Maybe you want to incorporate things from when you first met or your first date. Maybe a Southern Style? Seafood or Barbecue? The Rehearsal Dinner is all about having fun and relaxing before the Wedding Day. There are no limits on what you can do for your Rehearsal Dinner. So where would the best place be to plan your Rehearsal Dinner? At an All Inclusive Venue. This way you have very little to worry about and gives you a nice break from the very detailed Wedding Day planning. Winterbourne Inn can offer you just that. We handle all the catering, we provide all the tables, chairs, tablecloths, glassware and much more! Your guest can enjoy the beautiful garden setting and a great view of the St. John’s River. Our number one goal is to make sure you and your guest enjoy your special event and have fun! Contact us today and let us help you host your Rehearsal Dinner. Contact us today for information on how you can host your Rehearsal Dinner with us and set up a tour. You can also check us out on our Facebook page to view additional photos and events hosted at Winterbourne Inn.